Here we are going to share latest New Bridal Wear By Deepak Perwani 2019. As we all know that fashion designer of Deepak Perwani recently introduced his winter bridal wear collection for Pakistani and other Asian women. Due to, their popularity in whole Pakistan Deepak Perwani introduced her new winter bridal wear dresses 2019. As we talk in the previous paragraph Deepak Perwani is one of the big names in the Pakistan fashion industry started work from the age of 20 in 1996. But after few years this brand is work with a menswear line such as formal wear bridal wear, casual wear for Men’s. After 2 years this brand also launched his women’s wear clothing line composing of formal and bridal wear dresses. 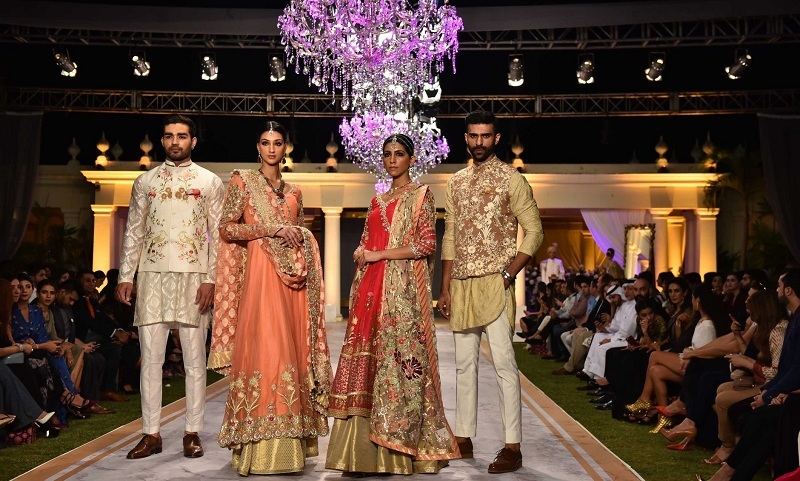 Now Deepak Perwani becomes one of the top fashion brands in Pakistan, mostly related to bridal wear clothing for young girls. Furthermore, in this collection, Deepak Perwani also introduced her ideal bridal wear dresses. In this collection, we can see Lehenga, Lehenga Choli or Lehenga with trendy bridal Gharara in modern traditional styles. In addition, the designer also used attractive eye-catching colors for making these beautiful bridal wear dresses, like Green, silver, Golden or other bold colors combined with embroidery work. So, girls stay update with our website to get daily updates about the latest fashion trends in whole world 2019. Here we are publishing some of the latest New Bridal Wear By Deepak Perwani 2019 designs. Pakistani Designer Deepak Perwani 2019 collection for women’s. Let’s check out these bridal wear dresses.